Do manufacturers ever open their own packaging? My friend Aaron Oppenheimer has taught me a lot about the end-to-end product experience, for a consumer, through our conversations and his weekly blog postings. It’s something we all intuitively understand–or at least recognize, when it goes badly–but Aaron consistently articulates best practices in a useful and insightful way. There are so many gaps in that experience chain–I had two packaging failures this past Easter weekend, and one success. Failure: Williams Sonoma twig nests. In some fit of extreme pre-planning, I bought twelve little Easter table “decor” nests two years ago and stored them in my basement ever since. The nests are about three inches in diameter and 2 inches high. They came packed four-to-the-box in a large white carton with dimensions of 15 by 15 by 7! The delicate nests looked absolutely ridiculous, lurking in the shadowy bottom of the box, strapped down like criminal fugitives by heavy industrial plastic ties (the ones that substitute for handcuffs on some TV shows) with acres of (pacifying?) space to separate them. Yes, they were in pristine condition, but they would have been equally preserved in a flat 12 unit container with a little gridded separation and not have taken up a whole large shelf in my basement for two years. Did the product manager at Williams Sonoma ever talk to the Chinese factory about the packaging? Did they ever see it? Success: Last week, in a Berkeley CA shop called Maison d’Etre, I bought a couple Easter basket geegaws made by a little New York outfit called Kikkerland. 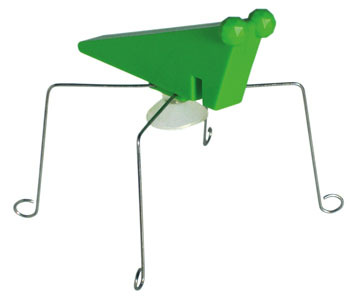 One, “Leopold” is a “fun Brazilian jungle bug” –basically a jumping critter with extended time-delay suction cups. The package was a minimalist card and plastic clamshell, and the product designer names were prominently displayed under the praying mantis-looking toy. My son (the same one who objected to aerosols) seemed to grimly anticipate another fused plastic package battle and said “Wow, that is so nice” when the little clamshell surprised him by gracefully opening to yield Leopold with the merest twitch of a fingernail. Clearly someone at Kikkerland bothered to specify the packaging experience as part of the overall product story. Products are getting easier and easier to make. I can probably find a Chinese factory agent in my local coffee shop. Two minutes on LinkedIn would set me solidly on the path to sourcing production of any new invention. But controlling the total product experience seems to be harder and harder. 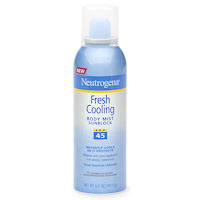 Between big box distribution (Neutrogena surely specified that package to Costco demands) and distant production sources, manufacturers sacrifice the best experiences for the better pricing. And the consumer always loses.